IZ*ONE's debut title song has hit 10 million views. The 'Produce 48' girls debuted with 'COLOR*IZ' and their title song "La Vie en Rose". 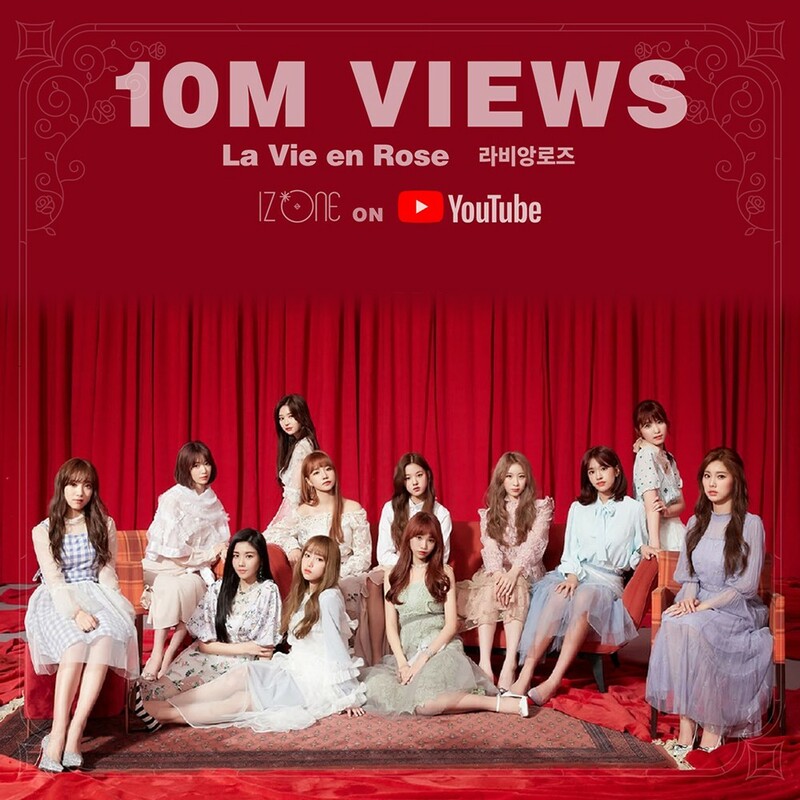 In just 4 days after the song was released on the 29th, "La Vie en Rose" has over 10 million views on YouTube. The MV has reached 1 million in under 4 hours, and also holds the record for the most views in 24 hours for a K-pop debut MV. Congratulations to IZ*ONE. If you have yet to check out the song, you can do so here. People who said they’ll flop, where you at?